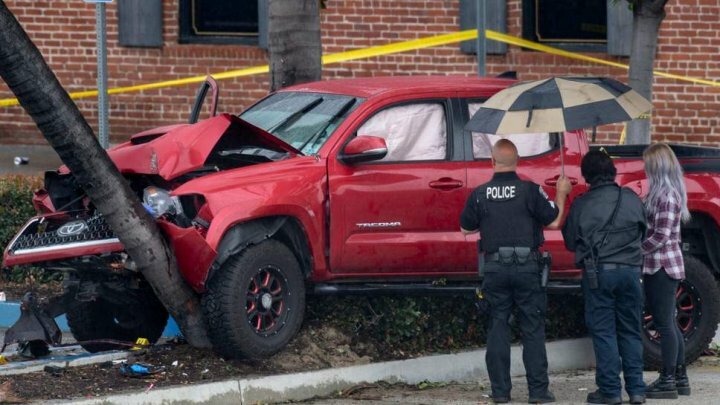 A man who allegedly ploughed his car into hundreds of people on a pavement in the Californian city of Anaheim injuring at least nine, police said, wrote Independent.co.uk. Christopher Solis was charged with causing great bodily injury while driving under the influence, the Fullerton Police Department said. Officers ound multiple victims trapped underneath the red Toyota Tacoma , which was smoking after hitting a tree, the force added. Police and firefighters lifted the vehicle enough to free the trapped pedestrians, with the help of members of the public. Eye witness Charles Gibbs told CBS Los Angeles: “I saw at least 50 people or more grab the truck and actually lift the truck off of a body that it had run over." A number of people were transported to hospital with injuries, varying from moderate to life-threatening. “Due to the time and location of where this accident occurred, hundreds of people were on the sidewalk, in the parking lots, and to the front of nearby restaurants and bars during bar closing time,” police said.